Girls, we all know that shoes are the best investment to make an outfit. Flat shoes are trending for casual wardrobe, and for semi casual outfits. Let's face it, flat shoes tend to fall flat much sooner than any other shoe. We tend to ignore the signs of wear because we're just not ready to deal, I mean, common! We just both those gorgeous flats last month! How many times, have we witnessed a fellow flat-walker strutting her stuff with a worse for wear flat. You know you saw the back end agonizingly scraping the asphalt streets, the loose fabric hanging over on the sides. Our feet are not perfectly made to fit in those symmetrical flats. There are ways the common shopper can cheat her way into fitting into perfect flats for much longer. It's time we put a little constructive effort in how we select our shoes for the season and for the long run. These little changes in your decision making could extend the life of even a budgeted investment. This article is inspired by the girls who love style at any cost to the girl who never wants to see her shoes go bye-bye! Rule 1. 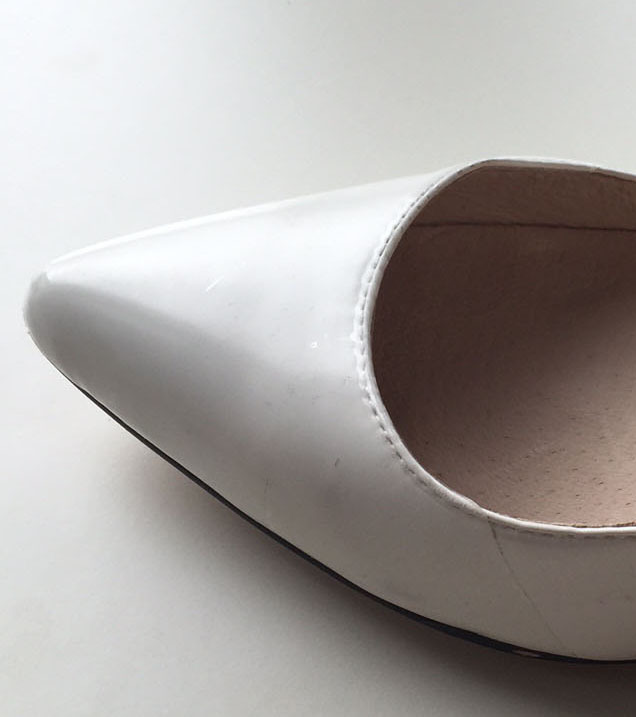 A structured shoe like a structured bag will keep it's shape much longer than a fabric shoe! Our favourite pick is the Valentino flats! Rule 2. A flat with very little material on the sides gives room for your feet to fit comfortably without expanding the shoe that makes it rub the floor. Now that your shoe can hold it's own, how do you keep from damaging your own shoe while wearing. It's not that we're clumsy, we just have places to go and we can't very well walk with a glass box on each foot.... but maybe if it was a glass box that was very thin, very flexible, and invisible! 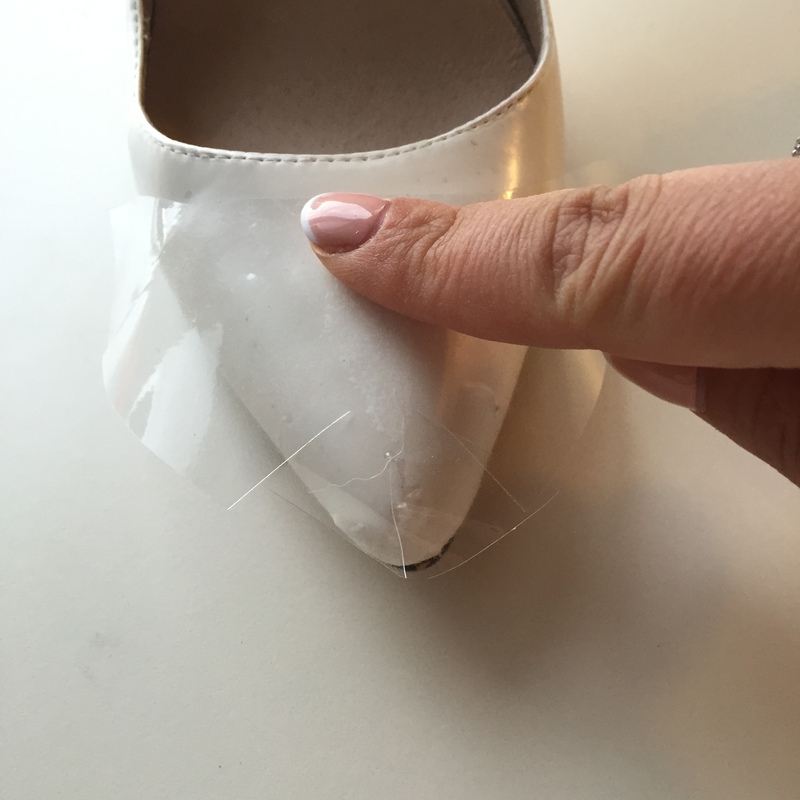 Here's how Shoetsy can be applied to your new flats! Shoetsy comes in 4 different types of shoes: Sandals, Platform Pumps, Stiletto Pumps, and Wedges. Women's shoes come in all different shapes, so here's how you can mix and match to fit your very own flats! By mixing and matching Shoetsy® products, you can protect anywhere from 85% to 99% of the surface of the shoe, it's all about what you need and we've mad all options possible for you! 1. Hate those toe marks inside your shoes? That awkward moment when you remove your shoes at someones house and your host is there watching, waiting for you and the inevitable stare sends their eyes straight to the shoes you left behind. Let's just hope that wasn't their first impression of you. Or, your girlfriend will not judge you because she has the same issue. duh! How to be that girl that all eyes turn to the exceptionally clean sandals/flats? Here's how to fight against dirt built up and toe marks inside your flats: (*Same application with Sandals/Flats*, slide inside): 2. While driving you will never pay attention if the back of your foot is digging into that carpet you never washed since you got your new cat. The issue is that regardless of the shoe fabric, there's always some sort of attraction between shoe disfigurement and whatever the shoe touches. Let's be safe than sorry. Every package of Shoetsy comes with a back heel cover. Here's an image of how that works! 3. So the front of the shoe is of equal importance as to the inside and back of the shoe. Why? Because it's the first thing they see when being checked out and just as easy to scuff. We all know how to walk up stairs, but between you and me, you know we can sometimes knock the front of the shoe, and our shoes are unforgiving. 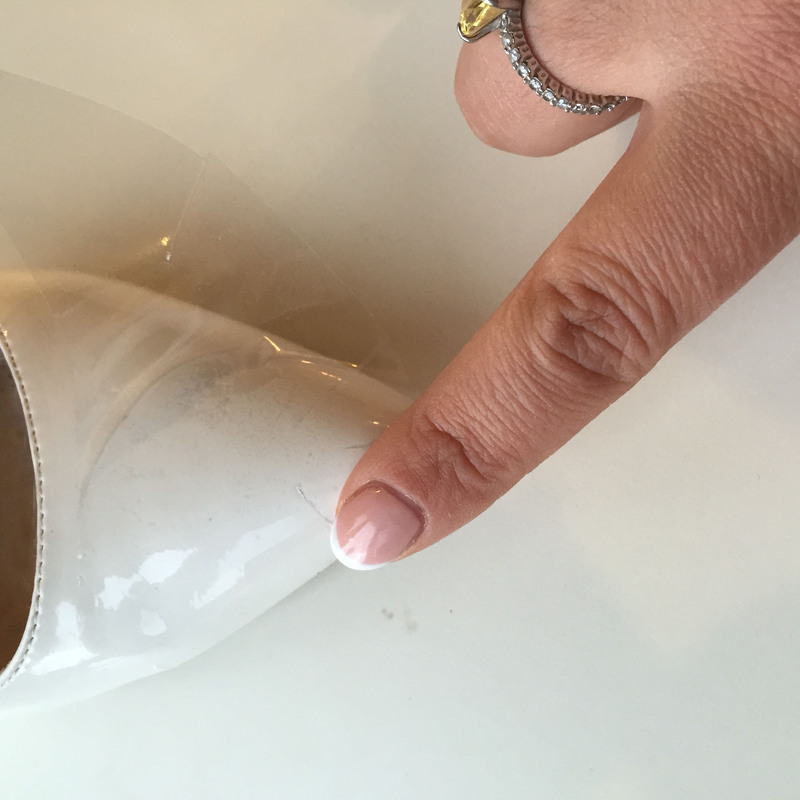 Here's using the same method on a stiletto heel.